This 18k gold plated bracelet is an inspired representation of the stones of the breastplate of the priestly garments. The stones are a representation of what Jewish scholars believe were the original tribal stones. Each bracelet is presented in a red velour bag with information listing the tribes, the stones and the resources which inspired the bracelet. Standard 7.25″ Stretch Bracelet. Larger custom sizes available upon request. 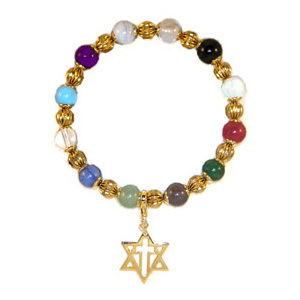 You may add the 18kt Gold Plated New Covenant Star Charm on your bracelet. 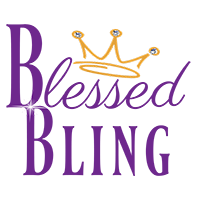 The symbol represents that we are grafted into the promise of God’s chosen people through the Cross.